Robotiq Vacuum Grippers can handle a wide range of applications and are ideal for picking up uneven and even workpieces made of different materials, such as cardboard, glass, sheet metal (dry) and plastic. 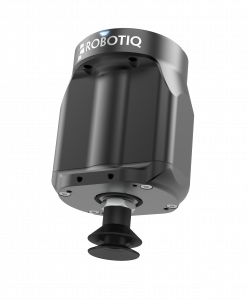 Because of the customizable bracket and unique air nodes, Robotiq Vacuum Grippers provide manufacturers full control over their Gripper to make sure it’s a perfect fit for their applications. 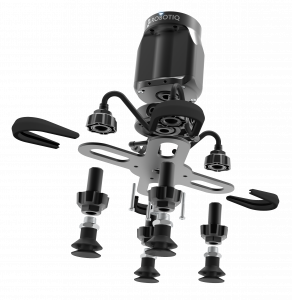 Designed for the Universal Robots UR Range. *See manual for further information. The elaborate URCap guarantees that the Vacuum Grippers are easily and optimally configured for the task at hand. Robotiq’s unique air nodes link the air tubes to the suction cups in order to customize the entire system. Robotiq Wrist Camera combined with Vacuum Grippers enable quick object teaching for an optimal grasp. Find out more about the camera here. 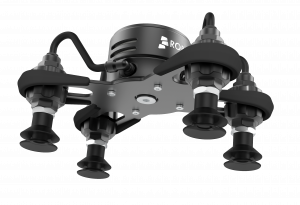 Robotiq offers a complete suite of products designed to operate together natively on the Universal Robot platform. Other superb products include Electric Grippers, Parallel Grippers, Force torque sensor, 2d Camera and sanding and polishing tools. The suite is complemented by a superb set of software for easy management of your robots Torque sensing, offering a suite of easy force torque sensing abilities and tools without the need for programming expertise. The range is topped off superbly by the Insights software. This allow monitoring of your robot cell(s) performance and can notify you of any stoppages. 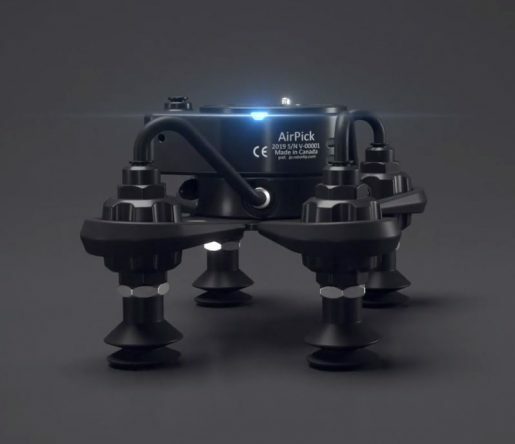 Furthermore, it offers the additional ability for remote access to your robot, with the insertion of a physical dongle, to help you instantly resolve issues you may encounter. A superb suite of kit and software for your Universal Robot to help you Start Production Faster. Please note these tools will operate on other robot platforms using different controlling mechanisms along with conversion hardware.